Anyway, enough of my aimless rambling. I thought I'd come back to blogging with an OOTD, it's a pretty casual one just for running errands, wandering around town and meeting some friends. 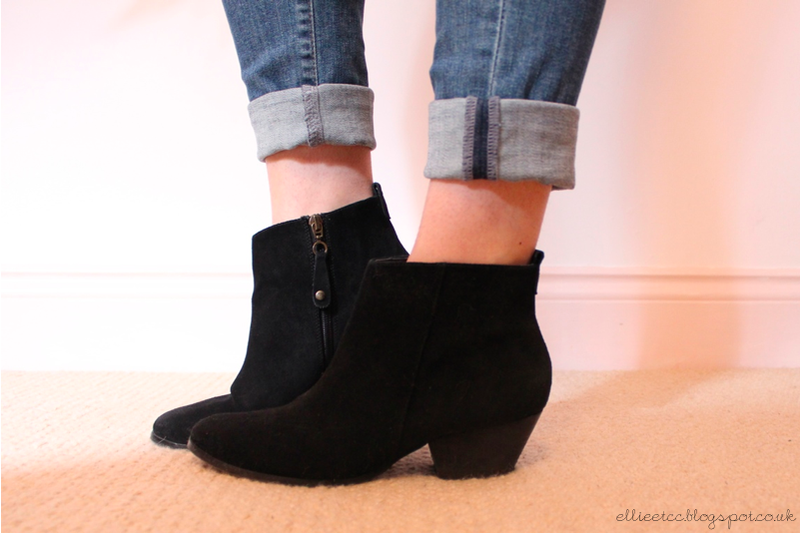 My new(ish) Topshop boots are featuring again as you can see, I just can't get enough of them! My poor mangled belt is from a Charity Shop a while ago, it's so useful and I use it all the time - hence why it's looking so destroyed at the front. 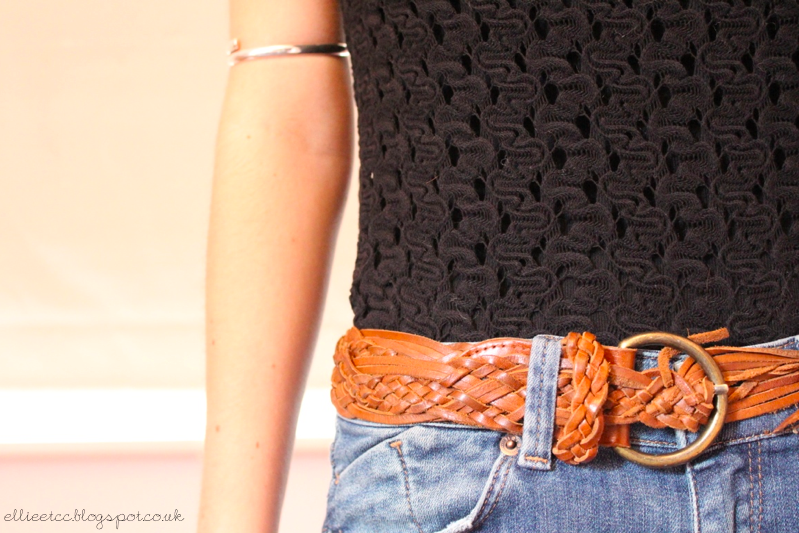 This cute crocheted top is from River Island a while ago, it actually featured in my second ever haul post (which is here, if any of you would like a blast from my blogging past). I think it's the kind which would be really easy to dress up, although I've never actually had the chance to do so myself. Also, a new little treat for you is an inside into my music tastes - which I must say is a very odd mixture as a whole! The song the lyrics 'so clap your hands lets play' (the title to this post) come from is Drink Dance Play by Young Kato. They are such a great band which featured on Made In Chelsea a while back and now I can't get enough of them! To anyone who has finished their exams recently, well done for getting through them! And to anyone who is still in the middle of exams, good luck for any you have left to do! I should be back to posting regularly again, I'm so sorry about these weird past few weeks where I've been half here and then half putting up guest posts. It's been a very stressful time for me, but all of the stress should now be disappearing, so back to blogging properly! I've missed you!